Select a scent Writing my choices Surprise me! 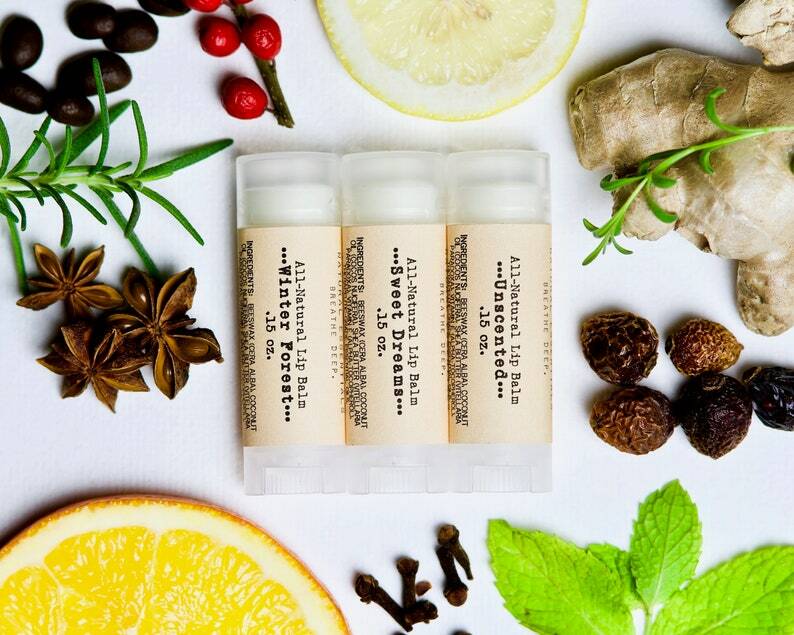 A set of 3 mix and match lip balms that is gonna be a GIFT-GIVING GAME CHANGER for you (and your chapstick addiction)! The perfect handmade lip balm trio for those 'hard-to-shop-for' people in your life...think coworker gifts, teacher appreciation, neighbor gifts, play date mommies, yoga instructor gifts, etc. Each organic lip balm comes packaged in a sustainable cotton muslin bag or an optional add-on gift box (see listing photos). • View pictures 3-4 and leave us a note with your choice of (3) lip balms in the "notes to seller" section on the checkout page. I love love love this lip balm. It is the best natural lip balm that I’ve ever tried. All of these are amazing! I love the smell and how they make my lips feel.